A small festive Santa doll made with only small amounts of DK. A perfect present for this Christmas period. 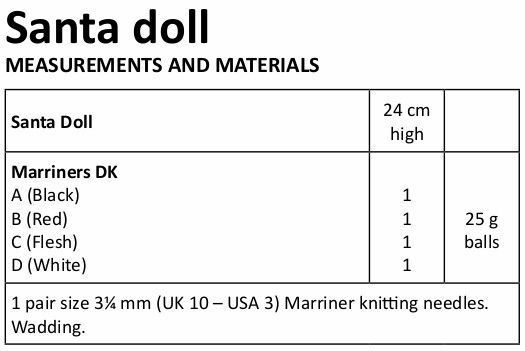 Pattern is for Santa doll only. 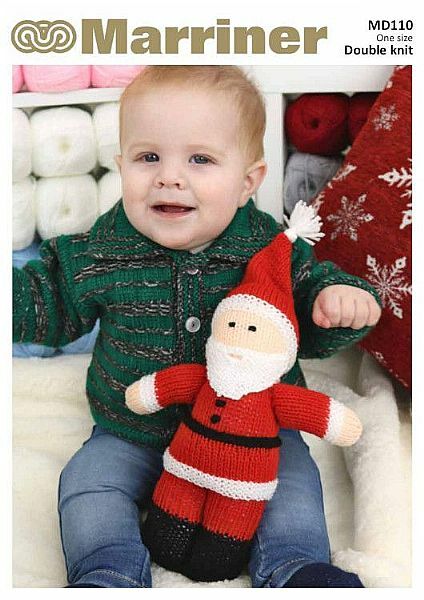 Santa hat and mittens are pattern MD108. Hooks required 1 pair size 3¼ mm (UK 10 - USA 3) Marriner knitting needles. Wadding.